The PCC with Bp. Kaluza and Cathy Jambert RSM at Kefamo after closing Mass for the Orientation Course. They were commissioned to work with their people in the parish. During Mass the Bishop challenged them to show God’s compassion to all who are in need of God’s love and mercy. 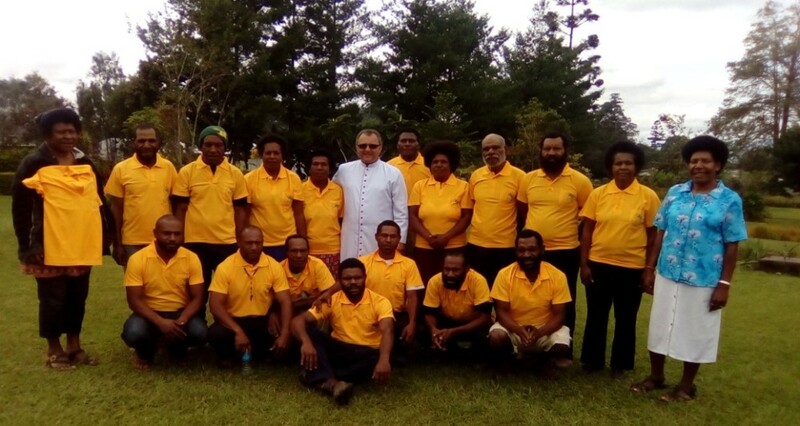 The Caritas Office in Goroka Diocese came to a halt in 2013 when the late Michael Kilau, Diocesan Caritas Director, died early that year. When the current Bishop Dariusz Kaluza, MSF took office August 10th, 2016, he revived some of the offices and Caritas was one of those in 2017. I was appointed as Caritas Director of the Diocese, while still working at Kefamo Conference Centre, on March 10th, 2017. Due to my commitment at Kefamo Conference Centre, I didn’t take up the office till this year, 2018. I am now working full time and enjoying it despite of Challenges. In order to do the job effectively, I could not operate alone, thus, I invited each Parish to elect a Parish Caritas Coordinator (PCC), which they did. I conducted an orientation course with them from June 24th – 28th, 2018. The urgent call on the church now is to eliminate the violence that related to sorcery beliefs and sorcery accusations leading to violence. 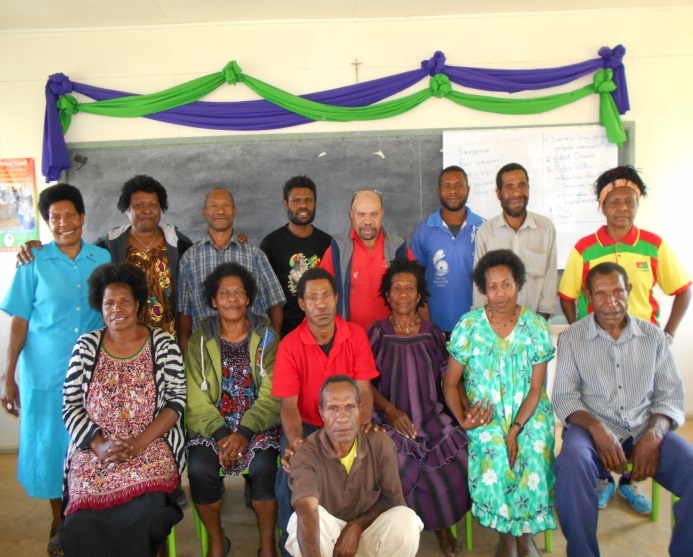 Last month from 23rd– 26th Sep, I had a workshop on that and invited Bishop and PNG National Caritas Coordinator to give some inputs on that and so they did that with the PCC. Bp. 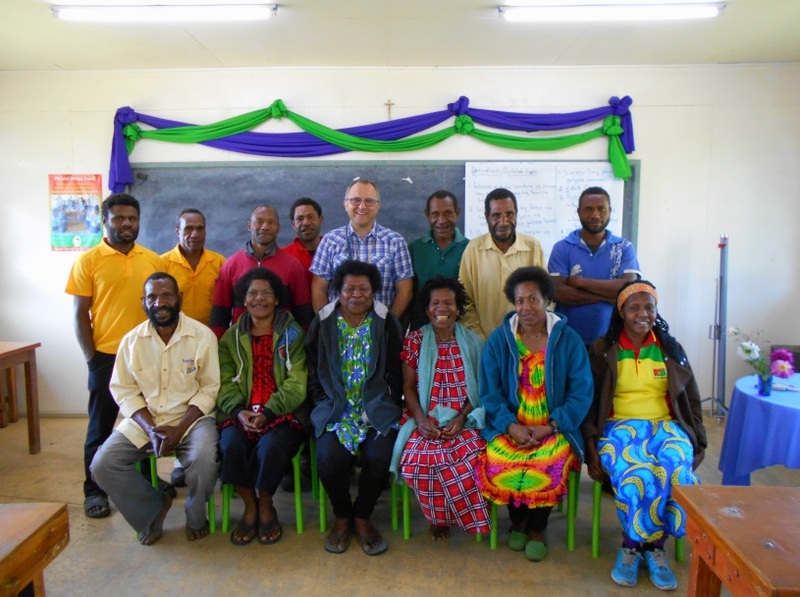 Dariusz in the centre with the Parish Caritas Coordinators.